"Angelo, I just don't like you in that way." 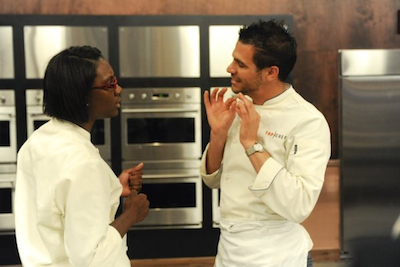 We’re back with another week of “Top Chef: D.C.”, eagerly wondering who will go home and why. Would-be cheftestant Ed Hardy is tuning in with me, as usual. This week looks to be super-exciting because two contenders are going home. Sadly, this week proves to be not at all exciting. There’s a lot of cooking going on, but the drama is missing in action. 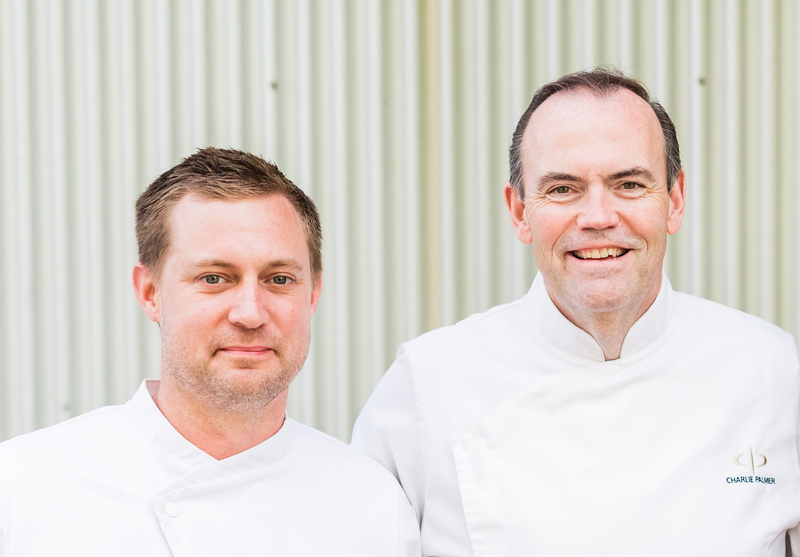 James Beard Foundation Awards Nominees 2010: Congratulations! * Amanda Cook, CityZen at Mandarin Oriental, Washington, D.C.
* Tom Douglas. Restaurants include Dahlia Lounge, Etta’s, and Lola. * Pat Kuleto, Pat Kuleto Restaurant Development & Management Co., San Francisco, California. Restaurants include Boulevard, Epic, Martini House, Waterbar. * Richard Melman, Lettuce Entertain You Enterprises, Chicago, Illinois. Restaurants include Big Bowl, Hub 51, Osteria Via Stato, Tru, and Wildfire. * Stephen Starr, Starr Restaurant Organization, Philadelphia, Pennsylvania. Restaurants include Alma De Cuba, Buddakan, Morimoto, and Parc. 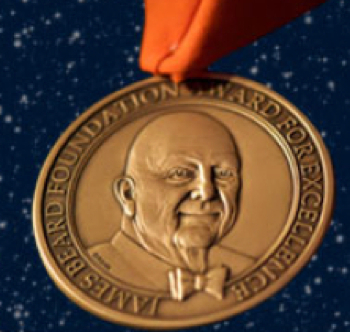 Read more about the James Beard Foundation and the 2010 Awards, click here. Purchase tickets here. And, reserve your seat at the next James Beard House dinner in Manhattan’s Greenwich Village for a unique dining experience in the birthplace of modern American gastronomy.